Synopsis: This moving book chronicles a mother's traumatic journey through postpartum depression (PPD). Things started to go downhill once the author was admitted to the hospital for an inducement - from uncaring nurses to a very caring husband, to a three layer episiotomy, breastfeeding problems, and the baby's health issues - PPD snuck up on her and the grip was too strong to let go. She loved her baby, but couldn't even enjoy her. Author Geri O'Keeffe's goal is to educate moms, so they do not have to travel down the road she did, as well as educate society, the media, and the medical community. 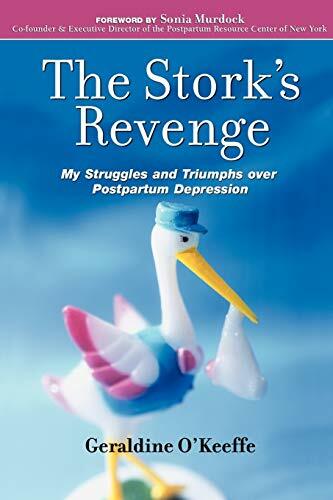 Although there have been medical strides towards treatment and awareness of this depression, she would like for medical professionals to read "The Stork's Revenge" and see firsthand how this depression affects mothers and their families.